Join us for a day of fun and learning w Clair Grogan! Work with one of our Thoroughbreds here or bring your own. All breeds welcome! 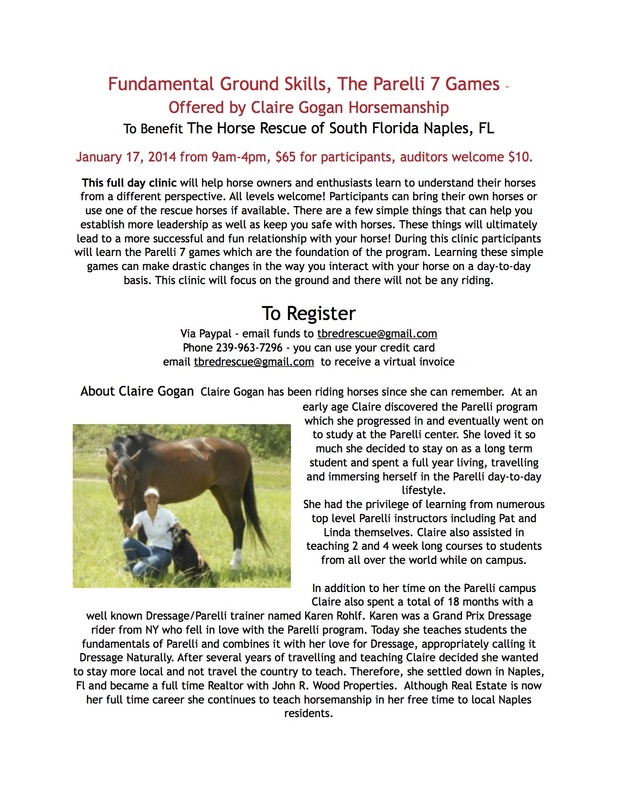 This all day clinic will be fun and informative, learn how to communicate effectively with your horse. All proceeds go to support the horses here! tbredrescue@gmail.com Or to register w Credit Card 239-963-7296 Only 7 spots open! – Make that 4 spots open! By Track to Trail Thoroughbreds in Uncategorized on December 17, 2014 .